KULGAM: The development and enhanced security in restive South Kashmir remained at focus as Governor NN Vohra on Thursday took his public outreach programme to Kulgam where he announced a Special Development Plan of Rs 2 crore each for the four districts of the region--Anantnag, Kulgam, Shopian and Pulwama. The Governor also emphasized on engaging youth in developmental works, besides health, education, power and PHE sectors as he ordered and allocated funds for running a Counselling and Coaching Centre for IAS/KAS and other such examinations. In totality an amount of Rs 3 Crore was released by Vohra as additionality for the district. Upon his arrival here, Vohra made a first-hand appraisal of the security environment and the pace of development work in the district. While interacting with MLAs and MPs from the area, Governor sought their feedback regarding development issues of the district, particularly those relating to youth engagement, health, education, power and PHE sectors. The Legislators raised a number of problems relating to their respective Constituencies and called for speedy execution for the completion of long-lingering projects and pending works in the district. In his meeting with the State, Divisional and District heads of all major Departments Governor was briefed by Deputy Commissioner Shameem Ahmed on the progress of various developmental works in the district. Governor was informed about the scope of development of horticulture, dairy, fisheries, sheep husbandry and industry in the district and their potential for creating employment opportunities. 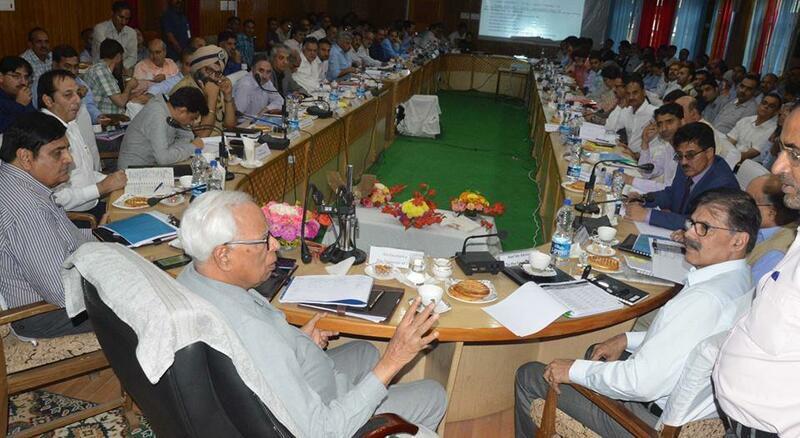 Governor asked Chief Secretary to explore and evolve a tangible concrete action plan for the rapid expansion of these sectors along with the required measures for establishing market connectivity. Chief Secretary stated that efforts would be made to induce a culture of Farmer Producer Organisation ( FPO) in the State. While reviewing the Health sector Governor directed Director General Health Services, Kashmir to immediately start a Dialysis Centre at District Hospital Kulgam, under the Pradhan Mantri National Dialysis Programme. To address the challenges posed by unforeseen circumstances and to plug critical infrastructural gaps, Governor announced a Special Development Plan of Rs 2 crore each for the four districts of South Kashmir i.e. Anantnag, Kulgam, Shopian and Pulwama.